We have received hundreds of stories of the ways in which butterflies have somehow touched people's lives - by bringing a message from those who have passed, by showing how challenges can be met by change, or by simply giving a feeling of peace by the simple act of alighting on someone's arm. 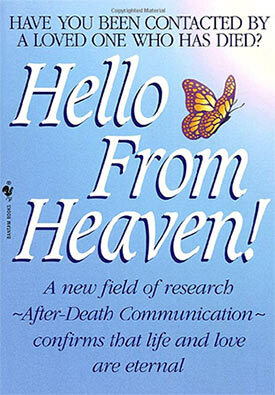 Chapter 14 - Butterflies and Rainbows from the book Hello from Heaven, used with permission of co-author Judy Guggenheim. Click HERE to give us your story! Because we've received so many fine stories, we've had to break them into groups by when they were received. In each group, the newest story is at the top of the page. © Copyright 1995-2019 Mikula Web Solutions, Doylestown, PA; all rights reserved.